This vintage-cool ride will give older kids and teens plenty of buggy thrills. Eight-inch knobby pneumatic tires and terrain following rear suspension come together for a smooth ride. The ultimate in electric-powered backcountry cruising. Operation is a breeze thanks to the hand-controlled accelerator and hand operated rear disk braking system. 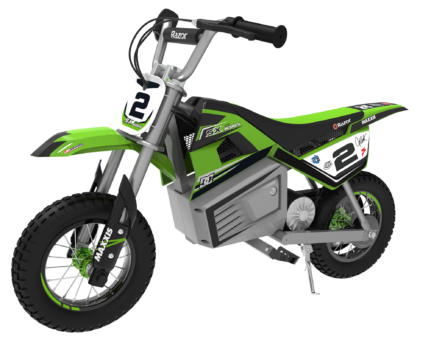 Parents will also appreciate the side roll cage, which creates a barrier between the rider and the outside, and the padded bucket seat, which includes a seatbelt for added security. 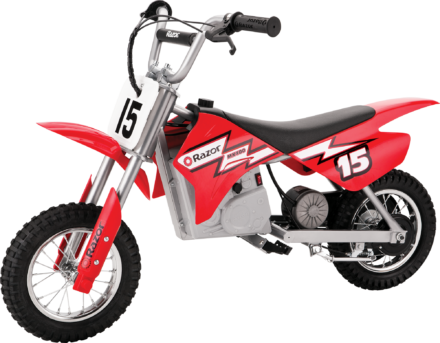 Features a reduction drive for maximum torque along with a variable speed, chain driven motor to give riders unlimited fun. And another added bonus, the Dune Buggy’s light, yet durable tubular steel frame, makes for easy vertical storage. Razor Dune BuggyVery durable, well made. Kids love it. My only objection is that it has no reverse. Also, no speed control for parents. Still, a good product. Hours of Fun!What an awesome Go-cart! I purchased this for my son. He loves it! He uses it every chance he can. It is very durable and you can tell it is well made. It goes just fast enough to satisfy his desire to race around while satisfying my concerns for safety. Easy to maneuver and handles amazingly! Goes over everything including tall grass, bumps, small hills, everything. I was really surprised how it can go anywhere. Once fully charged it goes for a good hour. My son is about 65 pounds and this is perfect for him! He will definitely get his use out of this for many more years. The cart comes completely put together and ready to go. Just charge for the first 12 hours and the next morning the kids are off and going. He loves it and therefore I love it!